Registration open 01/15/2019 – 02/15/2019. Early bird discounted rate available during this time period only. Late registration 2/16/2019 – 3/01/2019. Failure to register by cut-off date may impact our ability to place your child on a team. Try-outs / Combine tentative dates are the weekends of March 9th and 16th. All Biddy, Midget and Knee-Hi players are required to attend at least one indoor and one outdoor session if weather permits if they want to be considered for one or more of our competive level teams. Team drafts will be held approximately 1 week after the combine. Practices: The goal is to begin practices the first week in April if not sooner. Other important dates will be communicated at a later date. See the Baseball Standard Operating Procedures for policies concerning player evaluations, team selections and playing time. 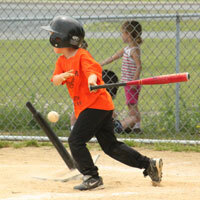 T-ball and Grasshopper - $75 per player. Players in the T-Ball/Grasshopper program will not have to participate in the lottery fundraiser. Biddy, Midget and Knee-Hi - $85 per player plus participation in the lottery fundraiser for Biddy, Midget, and Knee-Hi players (OR $135 with the fundraiser $50 buyout option). Uniform Pants Purchase Option: You can purchase uniform pants through the NYAA when you register. If you register for a size and it doesn’t fit – they can be exchanged through your coach as long as the tags are still intact. You may also opt to purchase pants on your own, but please ask your coach for details about pants and colors. Biddy, Midget, and Knee-Hi players are required to either participate in this fundraiser or option for a cash buyout of $50.00 in addition to the registration fee. You will indicate your choice when registering. The buyout fee is due at the time of registration. Once you elect to participate in the lottery fundraiser, each player is required to sell a minimum of 10 lottery tickets. For each additional ticket sold over and above the 10 required, $5.00 will be given back to the player. After receiving their tickets – players can either sell their tickets, buy them out at that time, or do a combination of selling and buying them out. VOLUNTEER COACHES NEEDED - Please e-mail if interested. - See the "Volunteer Application" document at the Northwestern Lehigh SD site for a list of the 18 Pa.C.S. statutes that are of interest in this process. The following is ONLY required if the volunteer has not been a resident of the Commonwealth of Pennsylvania for the entirety of the previous 10 years. - If you have NOT lived in PA for 10 consecutive years you need to do FBI fingerprint. The website gives detailed direction. This one cost 27.50 and you will be reimbursed by NYAA when you hand in the completed results. The following is a summary of the baseball each of the NYAA baseball divisions. Baseball Fields behind Ebenezer Church located at 7293 Decatur St, New Tripoli, PA 18066. The T-Ball program is an in-house baseball program for children who are 4 - 6 years-old (players must be no older than 6 before May 1). It is designed to teach the fundamentals of hitting, fielding and throwing. 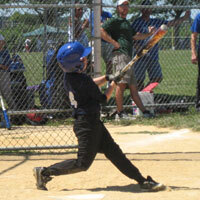 All batters will hit the ball from a batting tee which is adjusted to allow for a level swing. All players bat in order each inning as well as play a defensive position in each of four innings. Adult coaches are stationed on the field to provide instruction. The primary goal of T-Ball is to begin to teach young players the fundamentals of baseball in a supportive team setting. The season will start the second week of April and will end in late June. Practices typically take place at least two days per week at either the Northwestern Recreation Fields or at the baseball Fields behind Ebenezer Church located at 7293 Decatur St, New Tripoli, PA 18066. Games will take place at the Northwestern Recreation Fields. The Grasshopper League is an in-house coach pitch league for 7- and 8-year-olds (players must be 7 before May 1 and no older than 8 before May 1). It is designed to teach the fundamentals of hitting, fielding, throwing and pitching. All players bat in order each inning as well as play a defensive position in each of six innings. There is a 10 batter limit per inning. After the 3rd out or 10th batter, the half inning is over. The batting order will resume in order the next half inning. Adult coaches are permitted on the field to provide instruction. Balls and strikes should be called by a coach standing behind the pitcher or behind the catcher. The primary goal of the Grasshopper League is to build upon the introductory skills taught in T-Ball and to continue to develop the players' fundamentals of baseball in a supportive team setting. 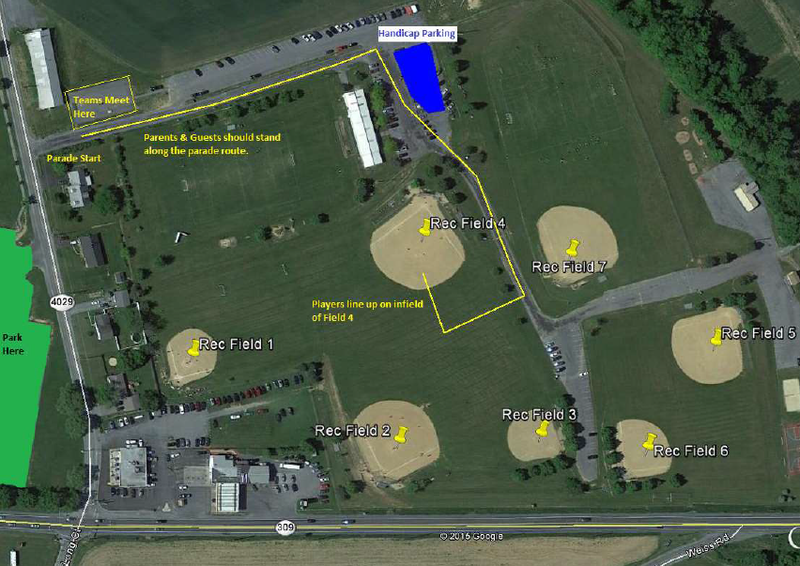 Practices and games are typically held at either the Northwestern Recreation Fields or at the baseball fields behind Ebenezer Church located at 7293 Decatur St, New Tripoli, PA 18066. Games and/or practices will typically be 2-3 days per week. 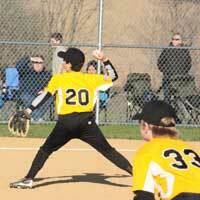 The Grasshopper season will begin with practice at beginning of April with 1st games on opening day. 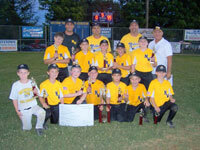 The season will end in mid June with a tournament at the Rec Fields. 9 and 10 year-olds (A player must turn 9 before May 1 and be no older than 10 before May 1). The Biddy division competes on fields with 60' base paths and a 44' distance from the pitcher's mound to home plate. Practices and home games are held at the Northwestern Recreation Fields and will typically be 2 to 4 days per week. Practices will begin in late March/early April. 11 and 12 year-olds (A player must turn 11 before May 1 and be no older than 12 before May 1). The Midget division competes on fields with 70' base paths and a 48' distance from the pitcher's mound to home plate. Practices and home games are held at the Northwestern Recreation Fields and will typically be 2 to 4 days per week. Practices will begin in late March/early April. 13, 14, and 15-year-olds (must be 13 before May 1 and no older than 15 before May 1). The Knee-hi division competes on fields with 80' base paths and a 54' distance between the pitcher's mound and home plate. Practices and home games will be held at the Northwestern Recreation Fields and will take place 3-4 days per week with practices beginning around late March/early April.